One of the first instruments we ever owned in this band was the microKORG Synth Vocorder. We’ve got some really amazing keyboards in the house, like friggin’ awesome 80’s originals, yet somehow, our precious little microKORG Synth Vocorder remains the most versatile – and it’s a keyboard we couldn’t be without. What’s really interesting btw, is that every time we go to see a show, whether it’s a famous artist or just an independent band, you always see one of the musicians set up a microKORG. It’s like the Disney World of instruments…every musician seems to know it and a whole lot of them seem to treasure it in some way. This is the first keyboard we owned as a band. I remember heading over to Guitar Center and seeing it there for the first time. Ivan was immediately in love with it, but he already knew of its versatility and different kinds of sounds we could get out of it. We’ve played this thing so much, it’s actually time for a repair. 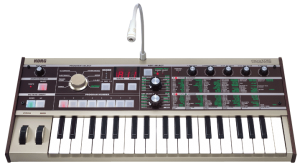 Most people just call it the microKORG, which we usually do too, but because of its versatility, we’re referring to it as the microKORG Synth Vocorder ; because as awesome as the keyboard itself is, the vocorder component is friggin’ awesome. We used it on different recordings, such as Into the Ocean, from our first record, and Teenage Love from our second record in subtle ways, which creates super cool sounds that make it sound like the keyboard is actually speaking words, but with musical notes – similar to the talk box that Peter Frampton made famous in the 1970’s. There’s something so damn fun about playing with the different effects on just about any keyboard – just tweaking their knobs and having a blast like a 5 year old kid. Moving everything around and hearing your creations of sounds morph from one effect to another, like water, and then back again. Well, the microKorg absolutely has that ability. But this thing is incredibly powerful for any serious musician too. You can literally tweak the knobs on this thing to a point where you will never have the exact same sound twice, and you can pretty much invent your own beautiful effect with enough practice and tweaking. There are sounds that come out of the MicroKorg keyboard that you know you’ve heard on famous recordings before too. The beginning of this band…and the microKORG was right there between us always! We used this keyboard on EVERY single song from our first record, The Waiting Place. We would sit down every night, take out a piece of paper, and as we worked on songwriting, we’d take notes as to which settings were blowing our minds, and we’d write them down so we wouldn’t forget…”this sound goes with this song on this part”…and so on and so on. And when we went into the studio to record our album, we had every sound dialed in and written out exactly how we wanted it. Another note – ALL the bass from our first record was recorded using the microKORG as well. This little keyboard has the power to create amazingly deep and booming bass if you want it, and also works just as amazingly as a regular synth with incredible sounds. One of the first things Ivan ever said about the microKorg is that it has the ability to generate sounds similar to a Moog, but it’s not nearly as expensive, when you compare $400 to $4,000…and at the very start of this band, we weren’t about to spend that kind of money for a Moog, when we didn’t even know what direction our sound was going to go in. The other awesome thing about the microKORG is that it’s SO versatile, it can mimic the sounds of many different keyboards that have become famous over the years. 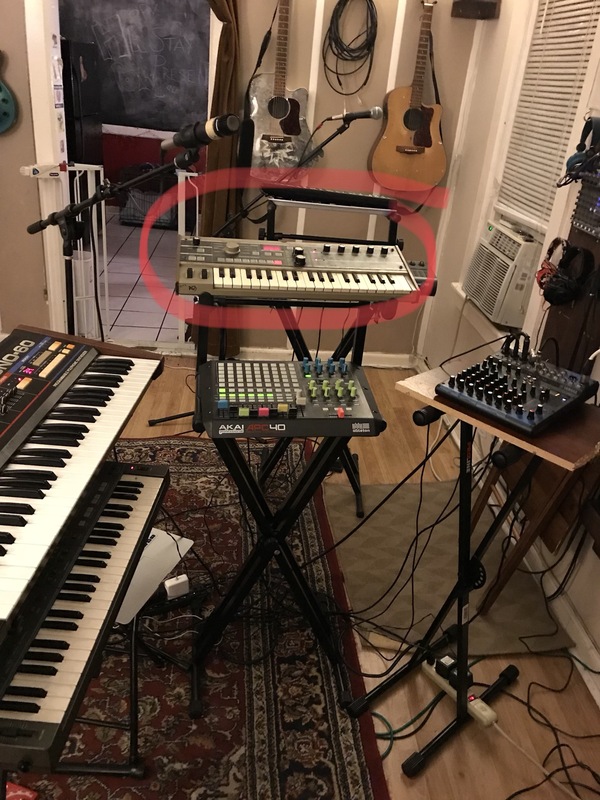 Ivan’s got a heavy 80’s influence, and over the course of this band being together – he’s invested in MANY keyboards that are staples of 1980’s rock and pop music. And to this day, even with all the keyboards we have, the microKORG is still an essential instrument in our arsenal. Time passes…instruments change…but the microKORG is stays put. It knows its place in the pack…and it would kick our asses if we even thought of eliminating it. 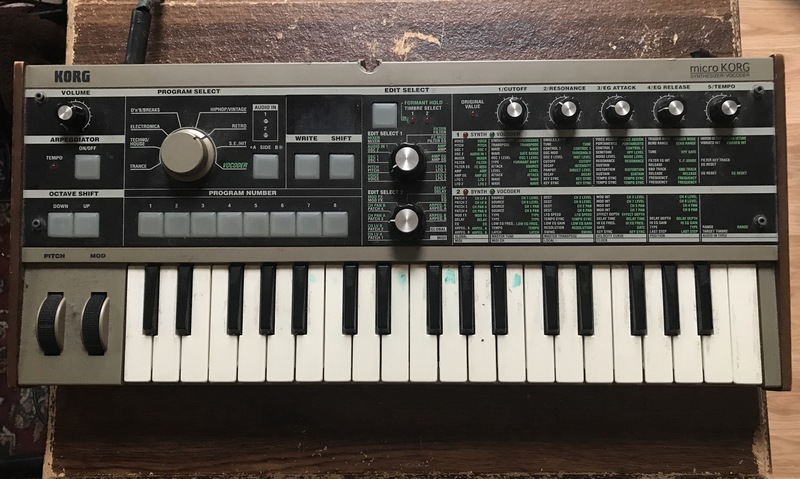 You’ll find every single keyboard we own, in the gear section of our site, but our little microKORG Synth Vocorder is the one that started it all. It helped shape our sound. It helped pave the direction our band has gone in since its start. In the beginning, all we were was a two piece band…Ivan on a drum kit, and I was on my guitar. We both sang lead vocals, just as we do now. And we had the microKORG in between us, to share keyboard playing responsibilities. We never would have thought the band would evolve in so many ways, to eventually incorporate multiple keyboards and instruments being played by both of us. It’s become a major balancing act. But you’ll read about that in the other instrument sections. Thanks for reading and if you’ve got any questions, please let us know! 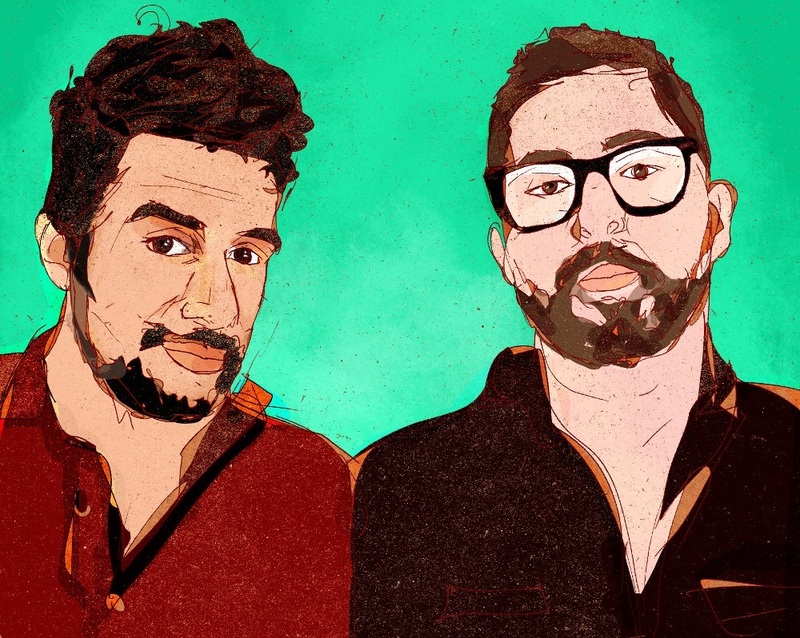 If you find all our nerdy gear talk interesting, and would like to know more about our music, and our story, please sign up on our mailing list here to grab some free tunes and an exclusive movie. Thanks! Many times I dreamed of buying a synthesize like this MicroKORG that you’ve featured here. But many times also that I failed. This time, I will try set aside some money, to finally buy me one of these. I think Roland also has equivalent equipment like KORG, so tell me, why would I prefer KORG over ROLAND? Well, I will definitely tell you, setting aside the money for one of these is absolutely worth it! It’s like having thousands of dollars of high end keyboards all in one keyboard. To answer your question about Roland…oh my oh my! That is a question for my band mate Ivan, but I’ll tell you, we have some Rolands in the practice space as well…Ivan is actually going to create a post about his Roland Juno…which, has created some super amazing sounds for us in a lot of our new songs. There are differences between the keyboards, and there are many Korgs out there, and many Rolands as well – we have both…it really depends on what sound you’re looking for, or what you ultimately want to do…for instance, the Roland Juno is an 80’s keyboard with very authentic sounds that you can just feel in your soul when you play it…it’s also incredibly expensive – and I think that’s why a lot of musicians go with the microKORG synth vocorder – because even though it’s not a classic from the 80’s, you can tweak it to get some similar sounds. Hopefully that gave you some insight! Thank you for the comment! You guys have a lot of synths. I love it! Our band has recently adopted the Korg and Mini Nova which are two completely different vibes. The Korg is more “analog” and the nova is very future sounding. I think Daft Punk uses the Korg Vocoder. Who are your musical influences by the way? Hey Arian – I’ve got to ask Ivan if he knows the mini nova – future sounding sounds awesome! The korg vocorder I swear is used by everyone…if you guys are just starting to use it, I’m pretty sure you’ll fall in love fast. Oh man, our influences range all over…Ivan and I have very different influences, but collectively, I’d say the Cure, Joy Division, Depeche Mode, Smashing Pumpkins, Arcade Fire, White Stripes, Tom Petty, to name a few…but I think a lot of our music is also continuously inspired by new music we hear that love as well, as we’re always trying to expand our sound – so it’s just a big jumble of stuff…then we sit down and write, and whatever comes out just comes out. How bout you guys? Would love to check you guys out.